Product categories of Electric Stacker, we are specialized manufacturers from China, Electric Stacker, Battery Stacker suppliers/factory, wholesale high-quality products of Pallet Stacker R & D and manufacturing, we have the perfect after-sales service and technical support. Look forward to your cooperation! 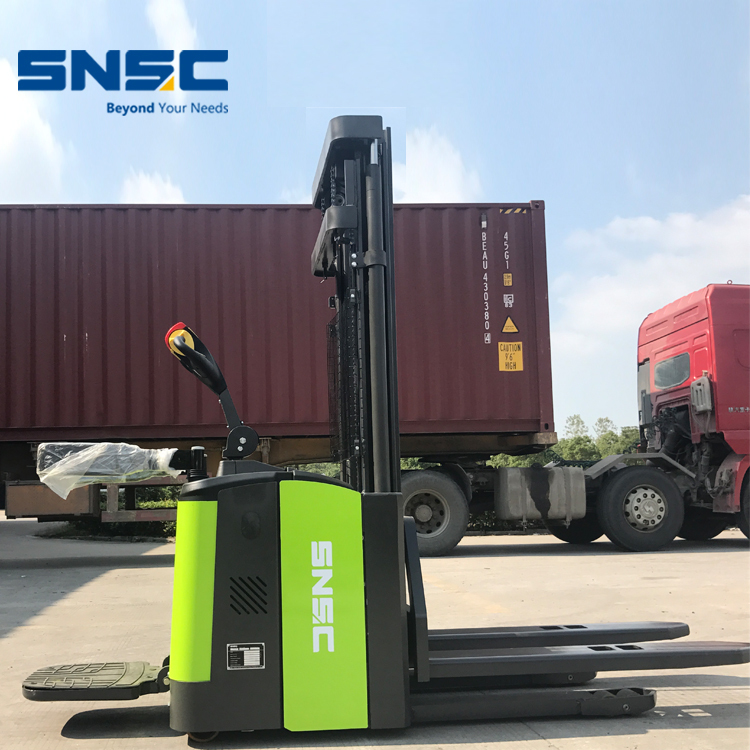 Our SNSC Electric Stacker have two operation type: ride on type and wall type, capacity from 1 ton to 2 ton for customer choice, lifting height from 2M to 5.6M, to make customer has a better using feeling, we also put electric steer gear for our electric stacker, then customer can easy to turn the drive direction when they need. we can also customize different fork length for customer ordered stacker, if you have any demands, just feel free to contact us.